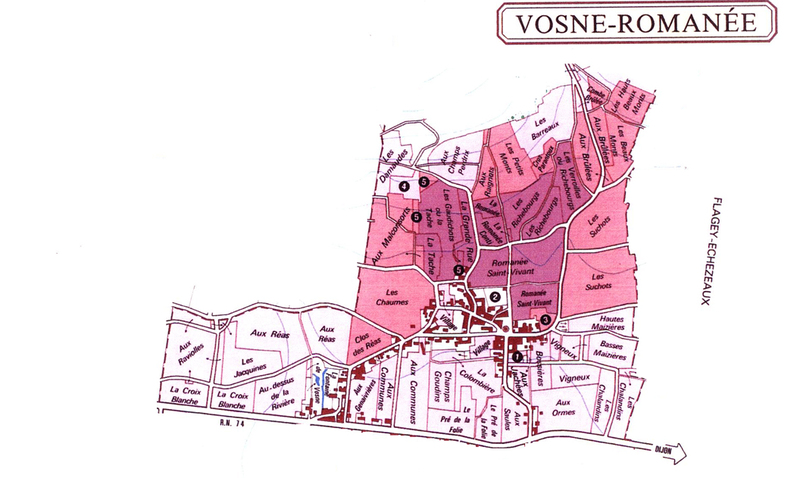 Vosne-Romanée is a French wine appellation that produces some of the finest red Burgundy . 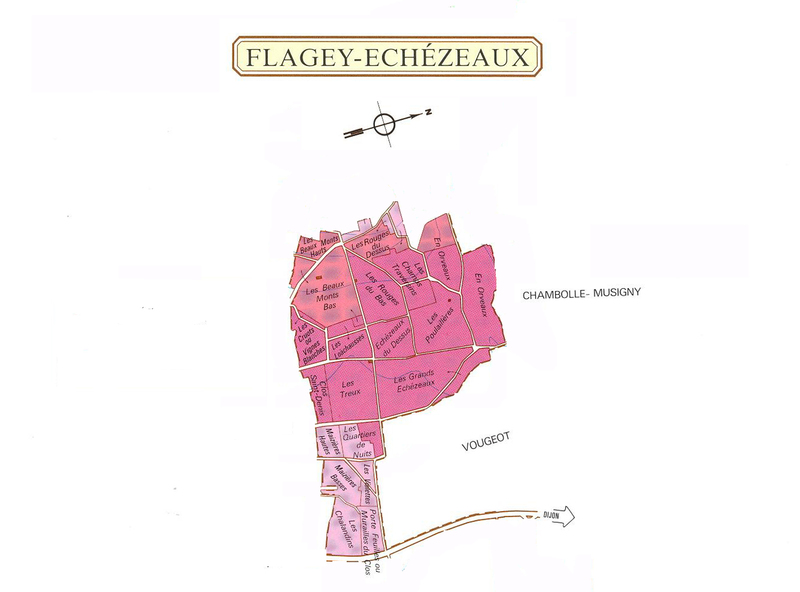 Wine so labeled must come from vines planted in the commune of Vosne-Romanée (or the adjoining commune of Flagey-Echézeaux with which it is viticulturally joined) situated in the Côte de Nuits region of the Côte-d’Or department in Burgundy in eastern France. Just as Burgundy supplies the benchmark against which all other Pinot Noir is judged, so does the commune of Vosne-Romanée manifest the apotheosis of Burgundy. 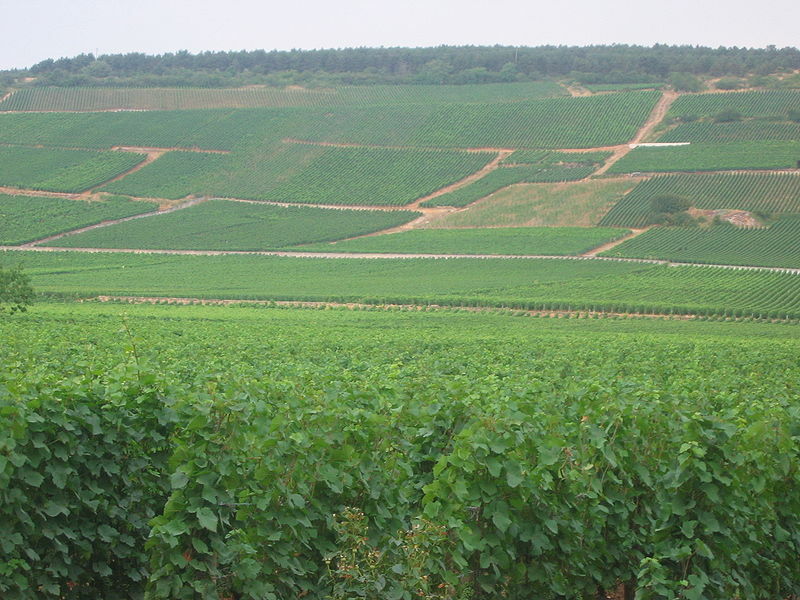 While there are of course great vineyards found in other communes (one need only mention Musigny to make this point), Vosne-Romanée consistently provide the greatest proportion of the finest red Burgundy. According to tradition, local Gauls drafted by Caesar into the Roman army were later rewarded with the grant of vineyards in the area, known accordingly as “Romanée”. The village of Vosne, known as early as 639 A.D. as “Vaona,” was apparently derived from a latin word for forest. By the 9th century, much of Vosne belonged to a Cluniac priory named in honor of St. Vivant. By the 13th century, however, the vineyards came to be controlled by the Abbot of Cîteaux. In fact, the last Abbot of Cîteaux died in Vosne in 1797. The village-level vineyards are mainly found east of the town along the Route Nationale, although there are also a few uphill on the western boundary of the commune. The grands crus and premiers crus are situated in a central belt extending the length of the commune, west of the village. The soil is comprised mostly of clay-limestone mixture over a limestone base; the surface is covered with loose pebbles and decomposed limestone. The exposition is east and southeast, at an elevation of between 220m and 340m. There are many fine producers in the appellation, but the most celebrated and expensive continues to be the historic Domaine de la Romanée-Conti. Although high reputations are also still enjoyed by Domaines Leroy, Meo-Camuzet, and Jean Grivot, the consensus of critics today (Clive Coates, Allen Meadows, John Gilman, Jancis Robinson) seems to accord highest praise to Comte Liger-Belair and Sylvain Cathiard. Other noteworthy vignerons include Anne Gros and Gerard Mugneret. Your praise is more than generous and I thank you. Your support means a lot to me. Thank you for the kind comment. I hope that you continue to enjoy the site. Thanks for the generous compliment. I hope that you continue to enjoy it! Thanks for the nice compliment. I hope that you’ll continue to give me your support and feedback!